I don't know about you but I LOVE seeing what curriculum others choose for their kids. It inspires me to make my on choices. 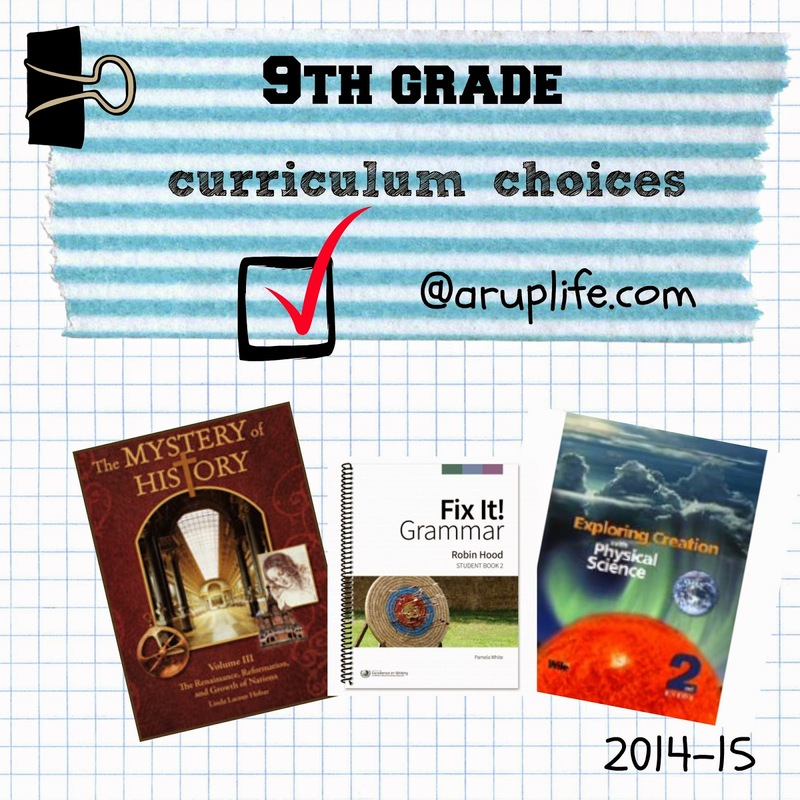 We have our oldest entering 9th grade this year and I think I have it all planned out! I haven't really scheduled in a set elective yet because I plan on reapplying for the Schoolhouse Review Crew and last year several things came our way that worked great as electives (our favorite being Micro Business) and I imagine next year might be the same. If not I'll add something. My oldest absolutely loved MOH 3, which is what inspired me to use MOH 1 this year. It made me a little sad that MOH 4 is coming out after he graduated.